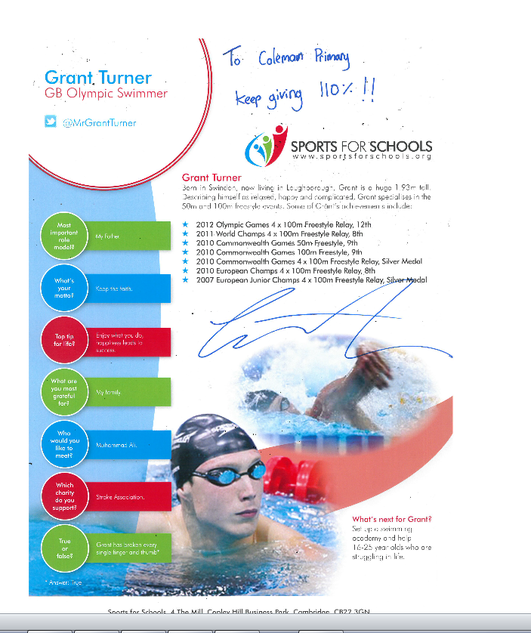 A BIG thank you to all the children who raised money for our charity event with Olympic swimmer Grant Turner. We raised a total of £451.89!! A great time was had by all the children who took part in the exercise circuits with Grant Turner, he said that all of the children were Fabulous!! !